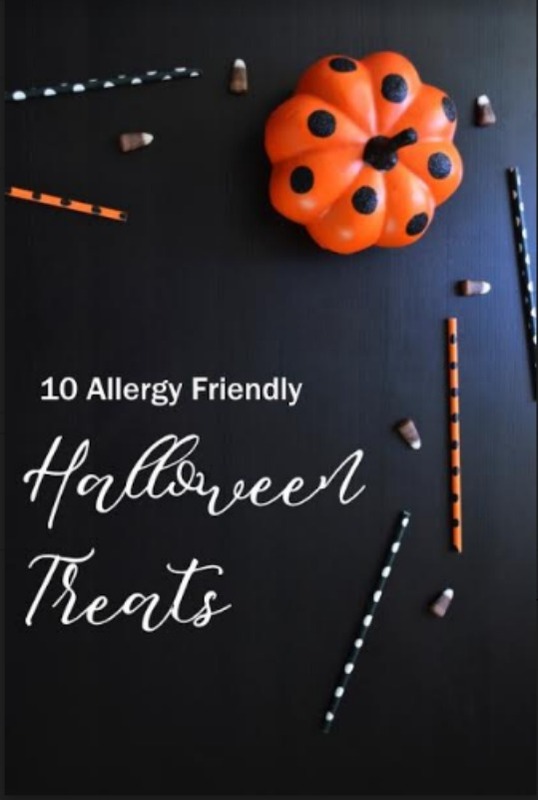 These ten allergy free goodies make popular hand outs on Halloween! Gummy candies of all sorts are slimy, chewy Halloween staples. Gummy fish, worms, bears and rings all fit the bill for a sweet allergy friendly treat. They are readily available in the seasonal Halloween section of any supermarket already divided into little packs and ready to go home with trick-or-treaters. Some children like to mix up their treat bag with non candy options, especially kids with severe food allergies. Halloween is a magical night for kids, so why not give them little magic tricks so they can create their own magic? This chewy, fruity rope candy is not just for the movies. It makes a great allergy free alternative for kids with food sensitivities. You can pick up these treats in a range of delicious flavors to suit all tastes. Sometimes a savory snack is a nice change from all the sweets. Goldfish crackers are a kid approved favorite. They are crunchy, cheesy and free from nuts. Temporary tattoos are a fun treat to hand out to kids. You can buy them in large sheets and cut them up or buy individually packaged tattoos. All kids love temporary tattoos, so make sure to have plenty on hand. Hand out a treat that has no allergens and lets kids express their creative side. Sidewalk chalk is easy to find, inexpensive and will be entertaining for children long after the last piece of candy has been eaten. All the kids know the house that gives out packs of baby carrots and whole fruit, and avoid those healthy homes like the plague. You can give kids the option of pure fruit, while still keeping the treat tasty and sweet. Packages of squeezable pureed fruit don’t taste healthy, but provide a allergy friendly flavor infusion of vitamins and minerals. Popcorn can be a trick or treat snack that is savory, sweet or salty. It is a healthy, nut and gluten free treat that is fun to eat. Lollipops are a candy classic that have somehow gone out of style in favor of fancier chocolate candies. All types of suckers are allergy friendly, and kids love a candy that they can slowly savor. If you want to make it easier for the kids with allergies, and their parents, have two bowls available with an allergy free label on one. Just this little thoughtful act can make a child’s Halloween night so much more special. This is a great list! Often times we forget about having Halloween treats on hand for children with allergies. Thanks for the reminder! I love these so much. I’ve always thought that Halloween must be such a drag for kids with food allergies. This is going to make some happy kids in my neighborhood! What a great list! We don’t have allergies so we stuff our faces with chocolate and candy bars, but I like that there are options for those who need it. There are so many different things you can do for Halloween treats now. Doesn’t have to be the traditional candy anymore. Halloween isn’t our thing now that the kids are all grown and gone and we live in the country so don’t get trick or treaters. Great options provided. This is a great list. I would never have thought about including sidewalk chalk or tattoos. I think it would be fun for the kids to have an option. Plus this way no one will feel left out. My kids would like most of these. They are popcorn and goldfish fans for sure! I will have to keep these in mind. It’s so important to have allergy friendly treats for Halloween. So many kids have allergies now. We do the teal pumpkin thing every year. It’s nice when you have an allergy kid that people take the time to get allergy friendly treats! Great ideas, I am always trying to figure out what to get to giveaway for Halloween. These should be really good options for this year. I think we’ll have to have a few different candy and non-candy choices! I like these ideas. It makes sense to be sensitive to the fact that more and more children have food allergies these days. These are some great ideas! It is so hard now knowing what to give out but little treats like this make for the perfect idea! These are great ideas! I always try to have a variety of nut-free items on hand for kids but sometimes I can’t think of what to get. What a handy list to have before heading out to Trick or Treat. These will be great to hand out to the little ghouls and goblins on Halloween! I love Halloween time because the goodies are fantastic! My kids dress up just for the loot! But, for those with allergies things like pencils and stickers are awesome! I love Halloween! This is a wonderful list. I love all of the options you’ve included. I love the non-foodie options you suggest, like sidewalk chalk! Lollipops are always great too! You can’t go wrong with goldfish – little ones love it! It is such a nice gesture to think of the allergies some kids might have. Very good information! Now that is a great idea! Different kinds of snack shakes things up a bit too! Those are definitely wonderful options! I know a neighbor who’s kids are gluten-free. Keeping some allergy-friendly snacks on hand would be great. The apple sauce pouches always go fast. Everybody loves them! This is such a helpful list. I always wonder what a bummer Halloween must be for kids with allergies. Twizlers it is! I really love this list! Thank you so much for sharing! Saving this! Thank you for sharing this! I have a nephew with very serious allergies, so this is close to my heart! Halloween is a holiday that every kid adores it, but at the same time, we parents need to be careful about a lot of things. This is a great list and I love the idea of temporary tattoos. The perfect gift for a kid! Great tips! We must also think about the trick or treat-ers health when giving out treats. Having a lollipop or two already hurts my tongue so that’s a no-no for me. Gummy candies, Lollipops and popcorns will definitely be part of our Halloween treats. Good to see another set of ideas here. Thanks! We always get the mix bag of stuff. People can take whatever they want, then. UGH on the temporary tattoo suggestion though, hahaha….so many of them just end up in the trash, ha. You have some awesome ideas I never thought of – like magic tricks and tattoos! I am going to pin this! That’s a great list. I remember getting homemade caramel apples when I was a kid and trick or treating.i like the non food items. Rice Krispies are really tricky. The most popular brand is not gluten-free, so we just avoid them in general.